During the West's great transition into the post-Colonial age, the country of Rhodesia refused to succumb quietly, and throughout the 1980s fought back almost alone against Communist-supported elements that it did not believe would deliver proper governance. During this long war many heroes emerged, but none more skillful and courageous than Captain Darrell Watt of the Rhodesian SAS, who placed himself at the tip of the spear in the deadly battle to resist the forces of Robert Mugabe and Joshua Nkomo. It is difficult to find another soldier's story to equal Watt's in terms of time spent on the field of battle and challenges faced. Even by the lofty standards of the SAS and Special Forces, one has to look far to find anyone who can match his record of resilience and valor in the face of such daunting odds and with resources so paltry. In the fight he showed himself to be a military maestro. A bush-lore genius, blessed with uncanny instincts and an unbridled determination to close with the enemy, he had no peers as a combat-tracker (and there was plenty of competition). But the Rhodesian theatre was a fluid and volatile one in which he performed in almost every imaginable fighting role; as an airborne shock-trooper leading camp attacks, long range reconnaissance operator, covert urban operator, sniper, saboteur, seek-and-strike expert, and in the final stages as a key figure in mobilizing an allied army in neighboring Mozambique. After 12 years in the cauldron of war his cause slipped from beneath him, however, and Rhodesia gave way to Zimbabwe. When the guns went quiet Watt had won all his battles but lost the war. In this fascinating biography we learn that in his twilight years he is now concerned with saving wildlife on a continent where they are in continued danger, devoting himself to both the fauna and African people he has cared so deeply about. Hannes Wessels was born in Southern Rhodesia, but grew up in Umtali on the Mozambican border. He is part-owner of a lodge on the Zambezi and is keenly interested in all matters relating to African wildlife and conservation. 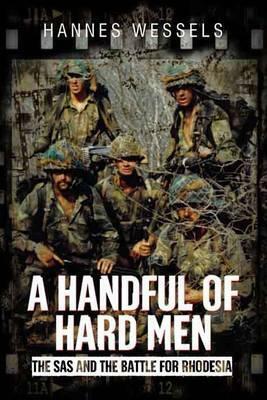 He is the author of the highly-praised 'A Handful of Hard Men: The SAS and the Battle for Rhodesia' (Casemate 2015).